🎹 UPDATED REVIEW - June 1, 2018 - Kawai VPC1 88-key Digital Piano Controller - Recommended - Kawai is well known throughout the world for building high quality upright and concert grand acoustic pianos and they even produce a line of pianos called "Boston" for the Steinway piano company. So it comes as no surprise to me that Kawai has produced a digital piano controller that does an outstanding job of reproducing a grand piano key action playing experience beyond that of conventional digital pianos which connects to virtual grand pianos (computer software generated) giving you that 9' concert grand piano sound experience. The Kawai VPC1 ($1849 internet discount price) which I have played extensively, is a new product concept from the Kawai piano company and is not for the average piano buyer. First of all it has no sounds of its own and no built-in speakers...that's right, nothing except a piano key action in a sleek attractive case. 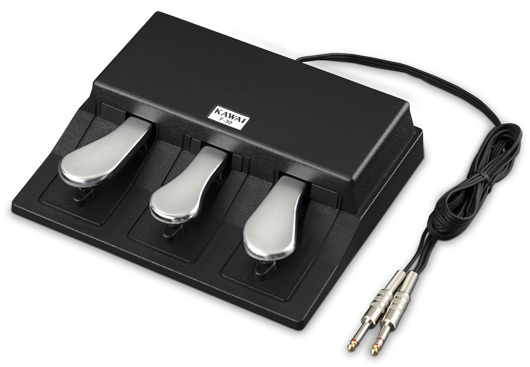 A true piano controller usually has a control panel on it in a generic looking portable keyboard "slab" and you'll see a variety of on-board functions & confusing buttons/sliders (at least they look that way) to control external MIDI instruments on other keyboard or sound modules and/or computer or iPad. But that is not what you'll find on the VPC1. The VPC1 hass Kawai's professional wooden graded hammer piano key action with simulated ivory grand piano keys allowing for a great keytop feel featuring a grand piano let-off/escapement function, new 3-sensor key electronics for authentic sound dynamics and sensitivity, high speed core compliant USB/MIDI connectivity, all housed in a very attractive satin black piano style top. The VPC1's chassis is engineered from industrial aluminum & steel with a reinforced keyboard base providing extra stability when playing big chords, and yet it is portable (although it is a bit heavy) and looks like a piano without the stand or base. It's designed to give the piano player the best "key action feel and piano response" (because of its advanced 3-sensor key electronics) you can get in any regular digital piano under $5000. I have played various new Kawai digital pianos with this new key action and I would agree that no other brand comes close right now. The action movement feels solid, moves smoothly with great tactile finger feel on the synthetic ivory keys, and has an overall organic feel that can make you believe you are playing an acoustic piano. However, it is not a Steinway, Kawai, or Yamaha acoustic grand in that it is not an exact acoustic key action copy, but for most people it doesn't need to be, and plays sufficiently to get a realistic experience in response and expression that is necessary to connect your inner soul to the piano sound coming out (it's true:). As far as connectivity of this instrument, you connect the VPC1 virtual controller piano to an outside digital piano instrument source such as a virtual grand piano sound library which you can buy, load onto, and access from a laptop computer (with the appropriate on-board memory), or you can connect to a MIDI sound module or keyboard of your choosing which range in all different price ranges. 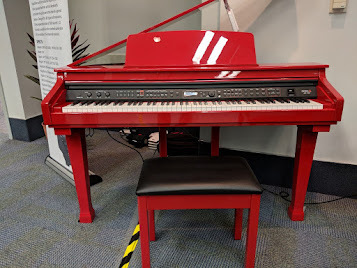 If you prefer an "all-in-one" solution such as a Kawai MP11SE portable piano with built-in Kawai stereo piano sounds and useable control features (so that you don't have to connect to an outside source for sounds and functions), then that model is certainly a great option. But for the people who want to think "outside the box" and want something very simple and a bit more elegant in design, and don't mind connecting devices together and using virtual or MIDI instrument sounds, then the new Kawai VPC1 is definitely a winner and nothing else comes close to the way it looks or plays. So who is the VPC1 primarily made for? Well it really is made for people (anyone) who want to play piano, have something portable which can be used with headphones or external stereo monitors, and they want to keep the price down while getting a high quality piano playing experience by using high quality virtual grand piano sounds. These virtual piano sounds come from computer software developed by piano software companies who produce specialized grand piano sounds taken and sampled directly from famous acoustic pianos such as Steinway, Bosendorfer, Yamaha, and others. These companies have utilized the latest technological advances in piano sound capturing & sampling to reproduce life-like copies of those acoustic grand pianos. These piano sound reproductions are so good that they can and do fool many advanced piano players. However, the extremely difficult part of reproducing a real grand piano playing experience in a digital piano is not only the having the right key action and key electronics for authentic dynamics, but also having the correct velocity touch curves (left pic on computer monitor) when playing the keys on the digital piano. A velocity touch curve, generally speaking, is the ability of that piano sound to come out naturally & dynamically in reproducing subtle volume changes from soft to loud as well as the subtle dynamics of the the sound from mellow to bright when pressing the keys. No matter what the piano sound sample is by itself and no matter who makes it, it may not sound and play right unless you have a digital piano controller keyboard action that is or can be geared to these individual virtual piano sound libraries and their particular velocity curves and dynamics. In other words, setting up a regular digital piano controller correctly to access the sounds is not an easy task and that is one reason many people have not wanted to use these "virtual piano sound libraries" in the past...it just took too much work, and a lot of times the result wasn't that great for all the expense, time, and effort. So that means that just connecting a good quality piano controller keyboard to a laptop computer with great piano sounds is just half the equation. The other half (and best scenario) is for that piano controller to be designed by a piano company (like Kawai) along with the cooperation of those piano sound companies to come up with the right software inside the "controller piano" to control and play the software virtual piano sounds the way they were meant to be played and heard. That is another thing that makes the VPC1 so special...it has those specific velocity touch curves and dynamics approved by the piano sound software companies so you can correctly play the grand piano sounds from those companies such as Ivory, Pianoteq, & Galaxy, to name a few. The VPC1 is designed to make the playing experience using virtual grand pianos quick and painless, but many pianists and software musicians who use virtual pianos (as they are referred to) enjoy customizing their setup too. For those users, the VPC1 includes a dedicated software editor, providing greater control of their sound setups including advanced MIDI routing. Individual setups can be created for different needs and stored to a memory preset in the piano (there are five of them), and then recalled without a computer using a simple key control on the piano... that's pretty cool:). There is even laptop space on top of the VPC1 to fit a computer along with the piano having a music rest, which is not the norm for "controller digital pianos." The piano even comes with a portable but yet durable and heavy weight 3-pedal foot unit for playing traditional acoustic piano style using damper with half-pedal, sostenuto, and soft pedal control. The VPC1 weighs only 65 lbs so it not too heavy but certainly heavy enough for one person. However with it being in a nice looking more formal cabinet top, most people will probably not be moving this piano very much and they'll use it primarily in their home, home studio, church, pro studio, school, or other more permanent locations. The VPC1 does not have a matching stand (or bench) and Kawai does not make one...yet. 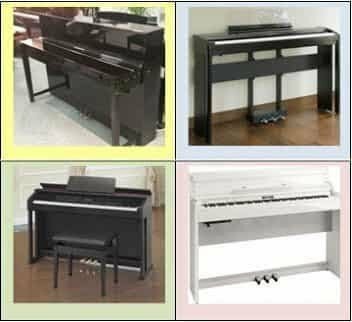 Whether they will produce a matching stand or not, I really don't know so you would need to purchase a portable metal stand that you would use for other portable digital pianos and I can tell you which one I would recommend. Another huge factor in considering the purchase of a VPC1 and using it to control virtual piano software on a laptop computer, is the computer itself. It would need about 85-90 gigs of free disk space to comfortably hold something like the piano software from Synthogy called Ivory II. Ivory II reproduces 3 full size 9' concert grand pianos in nearly every way with an organic sound experience (using a Kawai VPC1) that you likely have never encountered playing a digital piano. 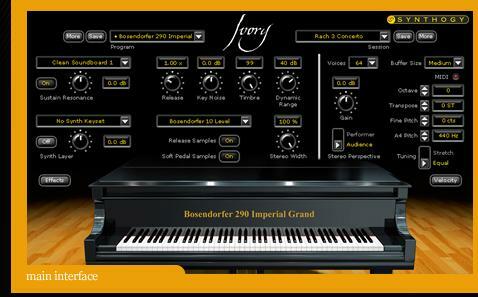 Other virtual piano software such as Pianoteq do not require the same power or memory space in a computer that Ivory does so it really depends on what virtual piano software you choose. You can definitely enjoy yourself with other software like Pianoteq, galaxy, or others, but the pianos by Ivory are my favorite and that's primarily what I am referring to here. As far as the Ivory II pianos go, you would need to have a laptop that would be a stand alone device sitting on or near the VPC1 with enough hard drive space, a powerful CPU, and enough RAM to support the size and strength of the virtual piano program. In other words, this is no small thing. It's like physically forcing three full size 9' concert grands inside of your computer, so just imagine that when considering what your laptop computer would have to do! The you would need a separate speaker system or stereo monitors for the piano sound to go through so you could hear it. Those monitors could cost anywhere from $400-$1000 or more depending on the space you have in the room and the fullness of the sound you might want. To really reproduce an actual acoustic 9' concert grand you would need at least 2 main speaker monitors and a good sub-woofer. I mean really, what's the point of getting the VPC1 and then spend the money for a separate laptop computer (which you may need to do) for use with the VPC1, and not have a great sound system? It's like having a great stereo recording and listening through cheaper speakers or headphones...it just won't sound great. Getting the piano sound to be great when using a piano controller takes a lot of things. It takes a great piano keyboard action, a great piano sound source, a place (a fast and efficient laptop computer with plenty of power, memory, and hard drive space) to store the virtual piano sounds, and a great speaker system (and headphones) to reproduce those fabulous virtual piano sounds as they were intended to be heard such as the ones on the Ivory program by the Synthogy company. There is a cost to all of that once you put it all together and when you add it up you're likely pushing more than $4000 for everything if you are starting with nothing. If you already own any of these components, then your cost would obviously be less. To save money you could use a laptop if you already had one as long as it could meet minimum requirements for the intended software, and if you already owned an appropriate external speaker system then that would cut down cost, even if that system was not as good as it could be. If you didn't need a pair of stereo headphones (I only recommend good ones that give you a great in-ear listening experience and those headphones are not necessarily inexpensive), that would also reduce price but what you already have may not give great piano listening results. 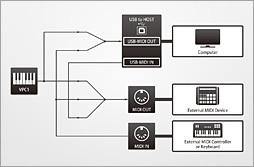 In addition to that, if you decided you didn't want or need to have those virtual pianos and already had a MIDI keyboard or sound module, you could connect to those devices/instruments and use their sounds depending if you like them or not. That would save you the cost of the virtual piano program and for having to use a computer to support and run it. So there are ways to reduce overall price. So in reality, all you might really need to get the job done is the VPC1 piano and basic virtual piano software if you already had everything else. Then the investment would be somewhat minimal. However, if you want to use the Kawai VPC1 and have your playing experience be the best possible outcome at a reasonable price and you did not already own any of the necessary equipment, then you would probably need to spend close to $4000 or more to get it. 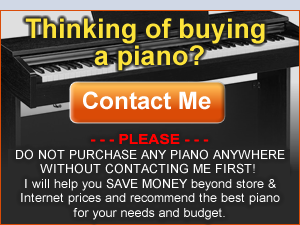 But if you think about it this way; three new 9' concert grand pianos would cost you well over $300,000 and you would need a huge amount room to put them in (and that's why those piano sounds take up so much space on a computer hard drive, because those pianos are so big! ), so spending a bit over $4000 and getting it all to fit in a much smaller space is a real bargain and I think it is worth it for that "real acoustic concert grand piano playing experience" in a digital piano! I would definitely recommend the Kawai VPC1 playing experience to anyone not afraid of or opposed to having the necessary component setup to achieve the intended result. I will admit and agree that you may not want this setup in formal living area, but that's OK because there are nice full size shiny black upright style digital pianos that fit that purpose and you can have a nice playing experience on those pianos too. But with regard to the VPC1, I can also recommend the piano virtual software for the best grand piano sound experience as well as the right speaker systems, stand, bench, headphones, etc that would work best for you. I would also recommend that you consider avoiding pre-packaged or bundled setups offered on web sites because they may not be the best solution to what you'll need. Many of these packages or bundles are set up to minimize cost to the dealer and to you, but at the same time they can minimize quality and your playing experience. Please contact me and I can give you more info and help you make the right decision on those things too. The Pianoteq software requires 20MB in total. It is not a huge collection of samples which requires 10s of GB disk. It is a tiny program, that any cheap laptop can run. There are free demo versions with Pianoteq on the web. 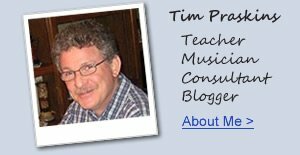 If you look at youtube, there are piano pros that review Pianoteq. And if you use a decent headset, you get very good sound too when connecting it to a cheap laptop. Everybody already has a laptop and a headset, and you can get Pianoteq for $100. So, it will only cost you $100 in total. Not $4000. Nice review, but most of it talked about how to connect the piano to the PC, and what equipment was needed and how much that costs. I am more interested in knowing about the piano. How was the piano itself? Did you like the feeling of the keyboard? Touch? Was it in par with a real grand piano? Which features are included? What did the piano lack, compared to a real grand piano? Could you please update the review with some information about the keyboard? Roland A-88 is a similar keyboard, using the same action as Roland FP4 I heard. Have you tried it, and compared it? Thank you for your comments and points well taken, I have updated my review to reflect answers to your comments. I have no comments here on your specific Roland question however. You are welcome to email me on that one. How did you rate the keyboard action when compared to the Kawai ES7? It seems to be a nice keyboard. It seems to be their almost best keypad, http://www.kawaius.com/main_links/digital/Features/new_actions2010.html. Why it is missing aftertouch? Is not that essential? 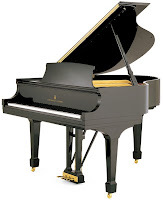 Do real Grand Pianos have aftertouch or it is just Digital Piano thing? after-touch is a synth/effects controller function and this instrument was primarily built to be a piano and control a piano so it does not have that function and doesn't need it. After doing research on the internet (and reading your thoughts), I have ordered Synthogy Ivory II Grand Piano software and Kawai VPC1. I received the VPC1 and Ivory Grand Pianos II. I am really happy with them in sense of quality. 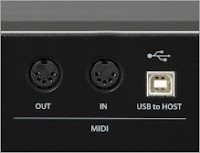 At first Kawai VPC USB-Midi did not work on OS X, but I installed Yamaha USB-Midi drivers and problem was solved. In overall everything besides iLok is more than I expected. iLok is awful and I hope that in Ivory III they don't use that stupid thing. If someone wants its possible to crack anything and why do they make honest clients life unpleasent? I am really interested in this I had no idea that Kawai would go out and create the ultimate Piano Controller! Really Ivory II pianos sound better then digital pianos to my ears. Maybe the Way higher ones have a better sound. 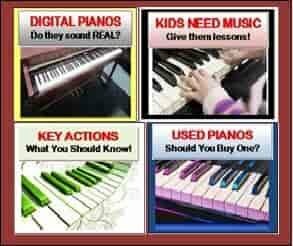 Bet I have gone out plays real pianos then played digital pianos and tested Ivory II to be closer to Real Pianos! something for me to consider as I am still trying to figure out my digital piano options for advance user. and Anonymous ilok is amazing! I have two both holding tons of licenses there nothing wrong with it. Does having triple sensors make a significant difference? The MP10 seemingly doesn't have that but does it matter a great deal? "...so you would need to purchase a portable metal stand that you would use for other portable digital pianos and I can tell you which one I would recommend." Which stand would you recommend? Bump! That was my reaction too. I want a perfectly stable stand, no matter how heavy it is. Which should I get? I have a digital Yamaha baby grand which I love. Looks good, sounds good, very nice piano feeling. AND the necessary volume control, my living conditions do not allow an acoustic. However, I also bought the budget version of Pianoteq, which cost 99 euro, just for fun, and I think it is excellent and much better than Ivory II - okay, so you don't need my opinion on THAT. The action on the Yamaha is very good - do you have the possibility to compare this with the VPC1? It seems that we'll get a second home to alternate with and so I need a second piano for practicing when I'm there. My idea was to buy a smaller but still good quality digital piano or keyboard and use it together with my Pianoteq. The VPC1 seems to be just what I have asked for and the price is reasonable. I also want to know about that metal stand. I just hate those fragile little stands where the piano starts to jump around if you try some heavy action Chopin, I want the feel of a solid piano. Thank you for this write-up. I really enjoyed reading it, and you brought up points that most reviews do not touch on, so thank you for the additional context. I am posting here because I found my way to your review based on the January 2017 update heading. I am curious that if you still have the VPC1, have your opinions of the device changed? Has it held up to long-term use since this original review was posted? Again, thanks for the review and I look forward to reading your latest opinions.